When it comes to the heating and the air conditioning systems in your home or the business, then it becomes essential that your heating or the air conditioning systems are providing you with the optimal performance and durability. We, at American Heating and Air Conditioning Repair St Louis provide you with installation, maintenance and repair services for all the makes and models of the air conditioning and heating systems. We are the leading heating and cooling company in St Louis and provide you with the expert and professional heating and air conditioning service St Louis. We have hired a highly specialized and trained staff. The team at our office consists of highly experienced technicians that are highly trained in order to provide the customers with outstanding and exceptional services. 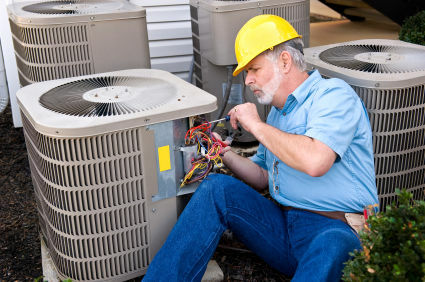 They know very well how to install any sort of make and model of air conditioning or heating system and are skilled in each and every type of repair. Our company has equipped our staff with all the tools and equipment that they might need in order to solve your heating and cooling problems. We guarantee you that you shall be highly satisfied from our services and would love to hire us again. Air conditions really play an integral role in providing you with a high comfort level and they are symbolic for the comfort of your home. Their installation and maintenance is quite costly at times but with our exclusive company you shall be getting high quality professional services at extremely affordable and reasonable cost. We assure you of high quality air conditioners and an affordable rate. We have been providing outstanding services to our customers since a long time and we are striving hard for further betterment in our services.